Just two days ago it was 32° outside and all that morning dark gray clouds had been building up, blotting out the blue of the sky. The forecast promised snow. Wood was piled up high by the front door and inside, there was a roaring fire crackling in the wood stove. Well that snow came. And now just a day later the thermometer outside read 13°F. Unusually cold even for here. It's definitely hot cocoa weather. A warm chocolate sipping kinda morning. But A. I don't want to leave the house to buy any. And B. I don't want to spend money on cocoa packets full of chocolate flavored sugar. And C. I can make my own with ingredients I already have. It's super easy too! 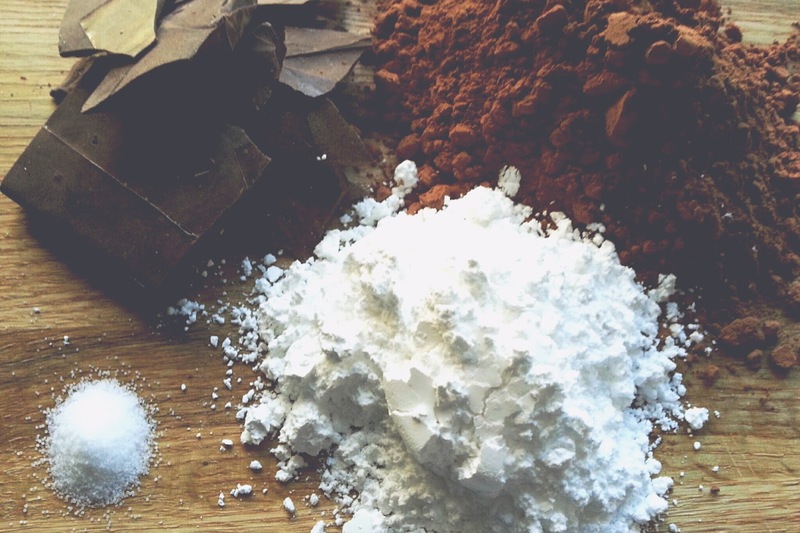 Here's how to whip up a batch for yourself. It also makes a really nice gift too. 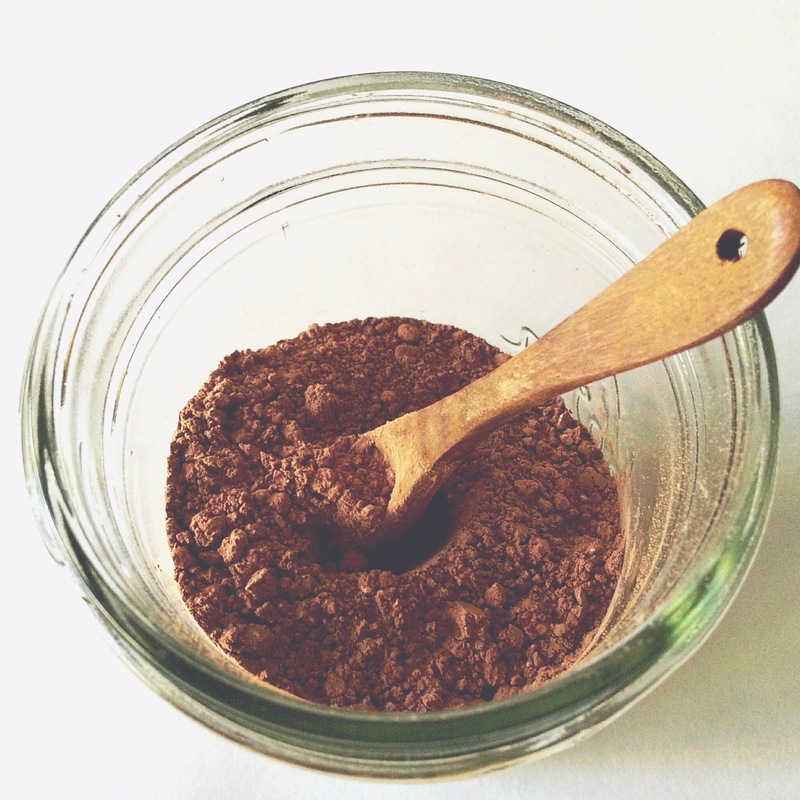 1st grind up the chocolate bar into a powdery crumbs using a food processor. Then mix it all together with the remaining ingredients in a glass jar. 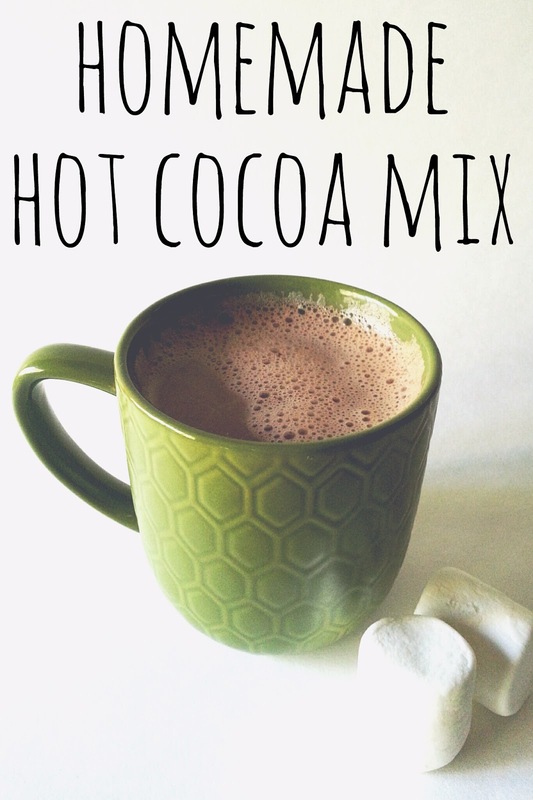 Now you have your own batch of hot cocoa mix. 1. Heat 1 1/2 cups milk or milk substitute in a pan on the stove. 2. Once heated whisk in 2 tbsp cocoa mix and stir to combine. 3. 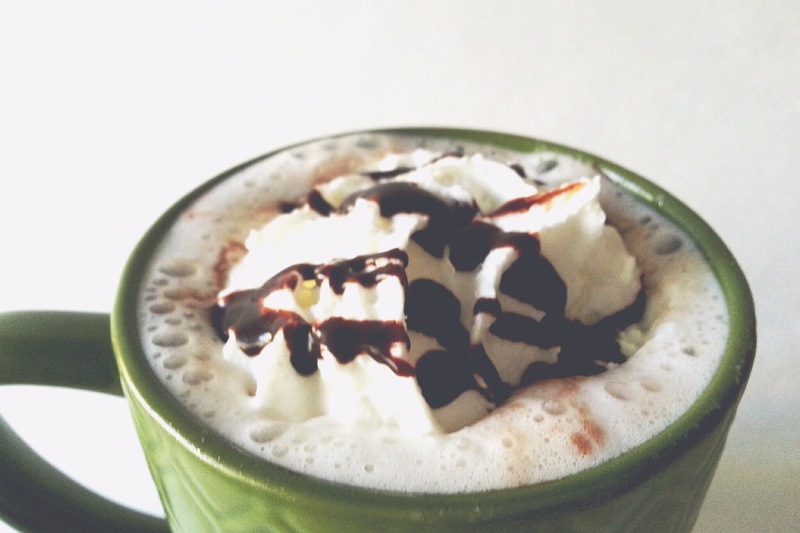 Pour into a mug and top with whipped cream, marshmallow and/or chocolate syrup!